Think of a smart speaker and you might picture a device from one of the big hitters like Google, Amazon, and Apple. However, think of a decent speaker, and those names won't reappear. 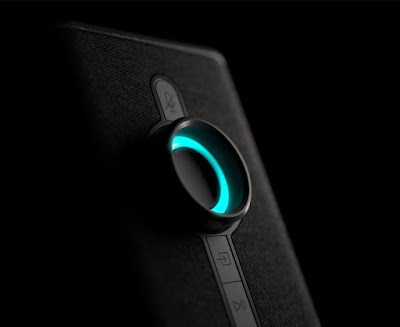 So what do you buy if you want a powerful speaker for music that also has smart voice functions? 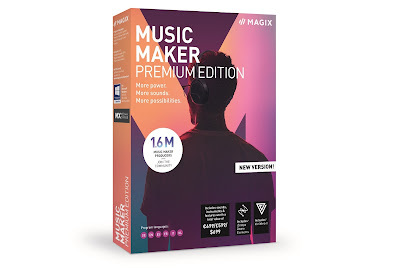 Easy, you get the hardware from a good speaker maker and combine it with the software from one of the major smart tech firms. That is just what has happened here, so let's check out the KitSound Voice One Smart Speaker. If you're not completely familiar with what we mean by smart speaker, check out our Google Home review. 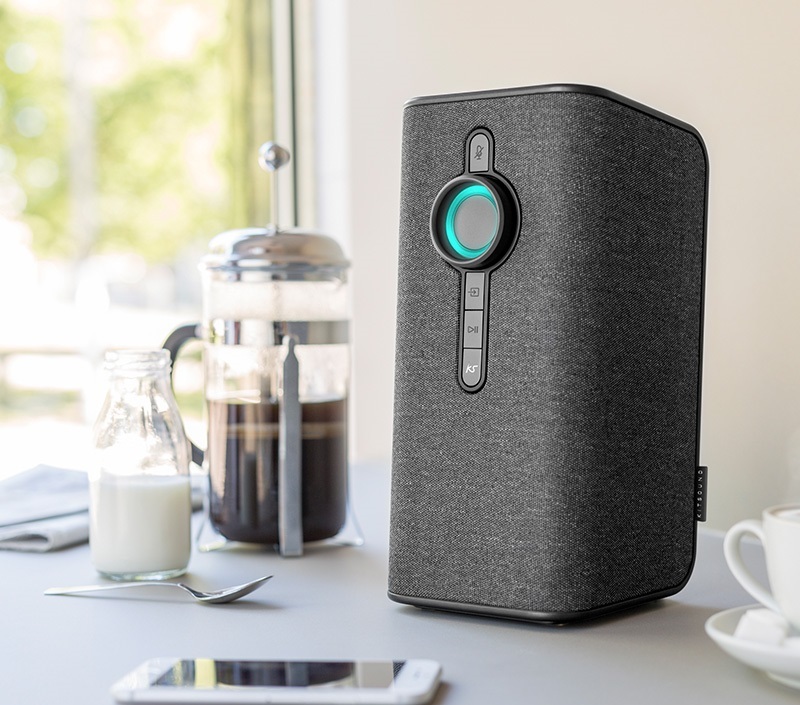 But, in a nutshell, a smart speaker is a device that is connected to the internet to which you give voice commands and ask questions. They might be fun for finding out the weather tomorrow, and for discovering what else that bloke from that show has been in, but they are most useful for playing music on demand and for controlling other smart devices in your home. 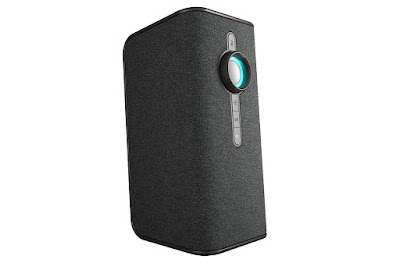 The KitSound Voice One is first and foremost a very good speaker; just as we've come to expect from KitSound. It boasts a 20 Watt output, is connectable via Bluetooth, WiFi, and aux-in, features a remote, and has an input-indicating light on the front. 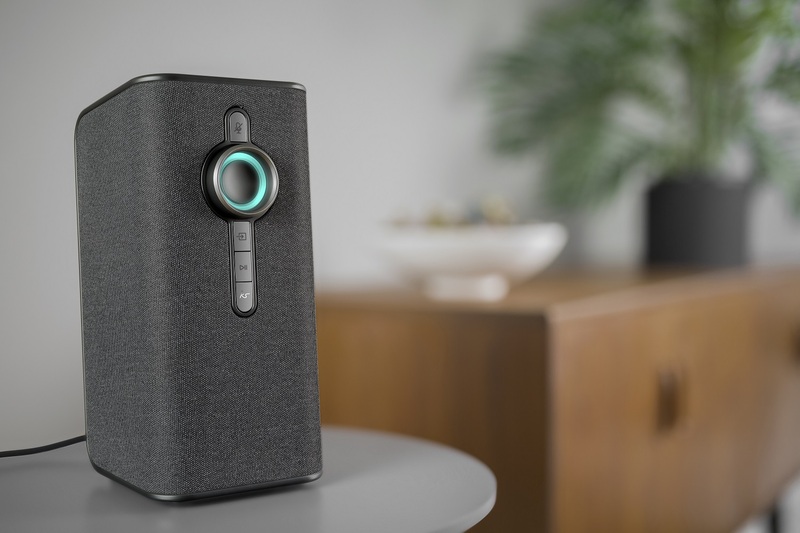 As a standalone speaker it performs very well, and if all you want it for is hooking up your phone via Bluetooth to blast some tunes in the living room, it will serve you well. To be honest, it sounds and feels like a £130 speaker, even without all the smart functions. But, the true selling point of this thing is the fact that it comes with Alexa. No, that isn't the name of the delivery driver, but rather the smart assistant software that you would normally find on an Amazon product, be it their Echo range of smart speakers, or their Fire tablets. You set up the speaker using the KitSound Player app, where it asks you to sign into your Amazon account. From there you are ready to go, and can start asking Alexa (who has either a British or American accent - up to you) questions. If you're an Amazon Prime or Amazon Music Unlimited customer, you can also automatically start requesting music, be they albums, single tracks or playlists. If not, you'll need to log in to your Spotify account via the app, instead. You can also set up smart home connections there, to control the likes of Philips Hue, Hive, and IFTTT. Its all very simple and easy, and just like setting up an Echo. To make Alexa listen, you simply say "Alex..." then speak your command. We found that the system always, without fail, heard the trigger word, as the round light in the centre of the speaker changes colour. However, we did find that the voice recognition wasn't as sharp or on the ball as the Google Home. We requested the same album to be played, over the same service (Spotify), and from the same distance from both devices. The KitSound Voice One nailed it eight times out of ten, whereas the other times we either had to repeat, or it misheard us. Meanwhile, the Google device succeeded every time. You might not be completely put off by that, however, because once the music was playing on the Voice One it sounded far better than anything the Home could produce. That is because it is a fully fledged speaker, and one capable of impressively deep bass. No other smart speaker that we've either reviewed or played with could manage anything approaching that. But that occasional mishearing continued when commanding connected gadgets, and we found ourselves having to repeat phrases more than we'd care to. You see, using a voice-activated bit of tech, such as lights and smart plugs, is totally badass. Do it in front of unsuspecting visitors and you'll seem like some kind of Jedi God. However, bark a command and be greeted either with silence or, even worse, "I'm sorry, I do not understand", and you'll look like a prat. You really need to have the confidence that your smart speaker will hear and understand you every time, and with the KitSound Voice One unfortunately we didn't get that. So this is a bit of a trade off: what you lack in smart speaker reliabilty, you gain in audio output quality. If you're interested in getting a smart speaker mainly for requesting songs (and you have something like Amazon Music Unlimited) it is great, as you really won't mind having to repeat yourself every once in a while, not when the resulting track sounds awesome. But, if you're mainly looking for a speaker with which to control your home and respond to your voice each and every time you speak a command, something like an Echo or Home would be better.